There are 4 types of legal descriptions used in real estate ownership in the USA. Metes refers to distance and bounds to direction. A critical feature is the Point of Beginning POB. 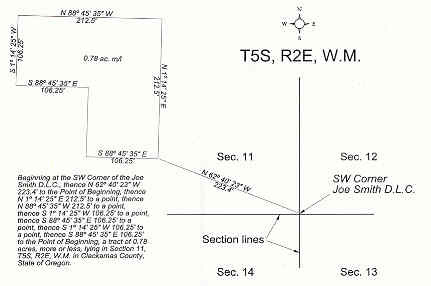 Writing a metes and bounds description is a job for a land surveyor. Beginning at a point (POB) on the North side of James Street 50 feet East from the corner formed by the intersection of the East boundary of Peter Road and the North boundary of James Street; thence East 90 degrees 200 feet; thence North 300 feet; thence West 200 feet; thence direct to the POB. The example below is a more complicated metes and bounds legal description. 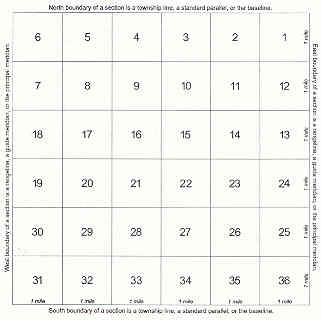 The rectangular land survey system was adopted by the federal government in 1785. It is used in all states except for the original 13 colonies, the states created from these colonies and Kentucky, West Virginia and Texas. There are geographical locations all over the US that serve as a base reference in land surveys. The principal meridians running North-South and East-West intersect at these locations. The most common method, but it requires county plat maps to be lodged with the county public records. A plat map is an engineers map showing the land use for the land in question. In county plat maps areas are subdivided up into Subdivisions. The subdivision may be then divided into blocks and lots. Thus a legal description for real estate ownership could be Happy Trials Subdivision, Block 3, Lot 4. 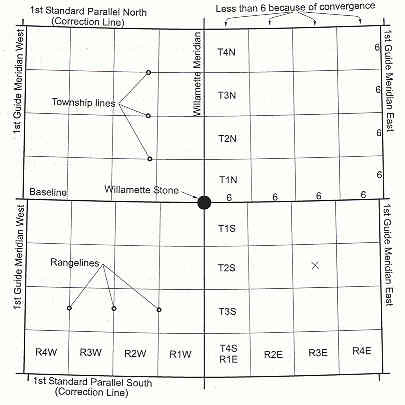 Below is a sample of a plat map illustrating a lot described by the Lots and Block Method. 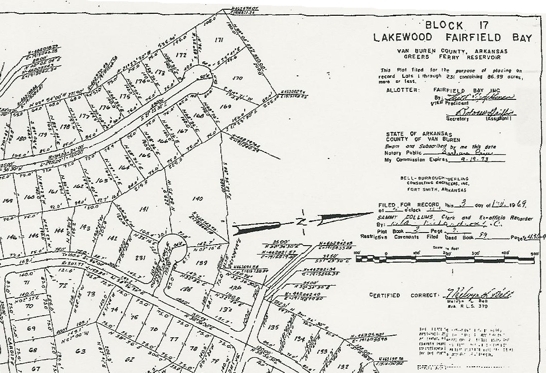 As you can see parcels are irregular in size are platted in relationship to the subdivision Lakewood Fairfield Bay. Description by Monuments is similar to the metes and bounds with POB being a physical, man-made or natural features.